Whether you are newly diagnosed and seeking basic information about diabetes and how to manage it, want to make an appointment with one of the city’s leading diabetologists, or are interested in learning more about our trailblazing diabetes research and available treatments, you have come to the right place. Our team in the Wellness Diabetes Speciality Clinic is internationally renowned for our excellent patient care, cutting-edge science, and lifesaving patient education. 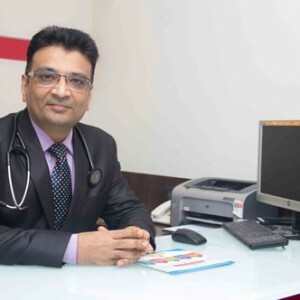 Wellness Diabetes speciality clinics was founded by Dr. Ved Paresh, M.B., D.DIAB., a consultant Diabetologist & Lecturer at K.J. Somaiya Medical college and Research Centre, Sion. 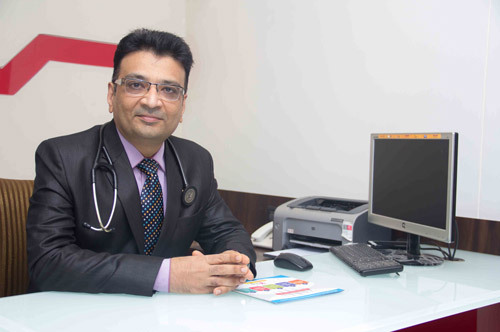 Dr Ved has conducted many CME’s for medical practitioners and Under Graduate Medical Students across the country. He is also honorary diabetologist at Hindu Sabhu Hospital Ghatkopar (W) & Kohinoor Hospital, Kurla (W) And had been a pioneer of the innovative “Tripod Approach” for diabetes treatment in the country. This approach corrects the basic defect and the pancreas is able to produce more insulin resulting in better control of diabetes and reducing the risk of complications. Over a period of six weeks patients require lesser doses of insulin or medicines and may be completely free of medications. Wellness Diabetes Preventive Package is for those who have a history of diabetes in their family. The Preventive Package makes sure that the patient’s health is kept in check to prevent the onset of diabetes. The Value For Money Package is a complete annual diabetic treatment plan for diabetic patients. You save upto 30% of your treatment cost. Wellness Executive Health Plan is a complete annual diabetic treatment plan for diabetic patients similar to the VFM Package with many added benefits. You save upto 30% of your treatment cost. With our experience and expertise, we provide you with the highest standard of diabetes treatment in the city.